To know the market is crucial but not enough. You need to know what to do with this knowledge. Which price should you sell your cards? Should you set a BIN? How much time cards should be selling? Which cards should you buy? All these questions are very common and have an answer. 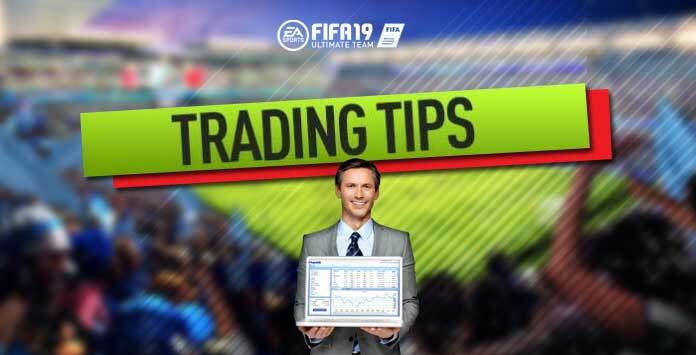 Know them on are our FIFA 19 trading tips guide and follow our top 10 rules to make coins. The best way to make coins in FIFA 19 Ultimate Team is buying low and selling higher. Pure trading. But how do you know when, where and what to buy and sell? 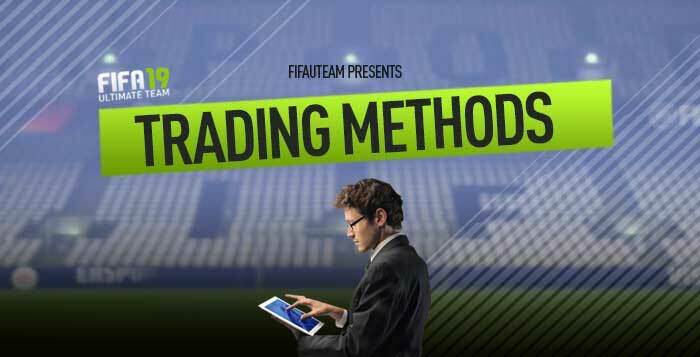 To help you to find the answers to these pertinent questions, we have compiled the best FIFA 19 Trading Tips for Ultimate Team which will make you an even better trader. Knowing the market is fundamental in order to have success as a FIFA 19 trader. The most basic idea about trading is selling at a price that is superior to the one you paid for. If you buy a card hoping to find someone to buy it for more coins than you bought it for, you’ll never succeed. Things don’t just happen like this. The market is somewhat predictable. You’ll have to study it to start recognizing a price that is below the balanced price and to predict the price that the demand is willing to offer. you can add a big amount of them to your transfer target list and observe their final prices. In the end, this is the most basic information you’ll have to know: at what price a determined card is bought/sold in FIFA 19 Ultimate Team. It is this analysis you will have to study very carefully. Obviously, with so much information available, you can make a deeper investigation into the market and then maximize your profit possibilities. ✔️ The introduction of new cards on the market. The world economy’s big successes were reached by the ones who became specialized in determined sectors. Amazon, for example, started selling books. Only after becoming a leader in this sector they expanded their business to other products. There are many books and websites that take advantage of these players’ fragility to sell what they want to hear. The best examples of that are the several lists pointing out the supposed best players to sell. Forget it. This doesn’t exist. Many people will disagree because the idea was already sold for them but the truth is that there are no best cards to buy and sell. All the cards can produce a profit if you completely understand their behaviour in the market. That is what is really important. It is obvious that there are cards that can be bought and sold in a limited space of time, like the IF cards or the IRL highlighted players, but except for that, there are no “more buyable” cards. Don’t forget that the FUT 19 Market has many thousands of players and it’s constantly in an almost-saturated state. You won’t find out all of a sudden a card that will give you an eternal profit. Many FIFA 19 players insist that there are branches you should bet on: fast players, the silver market, England’s secondary leagues, silver and gold Brazilian players, etc. All of them are apparently very attractive targets because their prices are usually higher. But they are higher not only for who buys but also for who sells. Don’t fool yourself. Imagine you own a store. Every time someone walks into your store willing to buy and you have your shelves empty, you’ll miss the chance of making a profit. In FIFA 19 Ultimate Team the same happens. You always need available cards to sell. Always, always. In the first place, your transfer list must always be full. Every time you sell some cards you should immediately occupy the other spaces of the transfer list with new cards. We also advise that you use the EASFC Catalogue items to improve the size of your transfer list. The more cards you have for sale, more you’ll sell and more profit you’ll get. In order to replace your transfer list stock, you’ll always need to have available cards. Normally these replacements are already in place via the transfer targets but you can also keep some cards to sell in your club. That’s why it’s important that you use the EAS FC catalogue items to increase the size of your transfer list. About trying to sell the maximum cards possible, don’t make it easy. Even with your transfer list full, it won’t be worth if you have 10 or 20 cards on your transfer targets list. Define as a minimum limit having your preference list 80% filled. In high demand times, like on the weekends, it’s recommended that this limit be at least 90%. If you are a very good trader you’ll sell all your transfer list and transfer targets cards. If you own a store, the more time it stays open, more chances you’ll have to sell. It’s the same in FIFA 19 Ultimate Team. The more availability you have, more profit you’ll get. Most FIFA 19 players, when looking for a card, don’t go beyond the 60 minutes page. As a good trader you intend to be, your job is to give your cards the bigger visibility. The more people see them, more cards you’ll sell. In order to do that you should have them available the higher time possible between the first hour auctions. As it seems to be evident, you just need to list your cards with a pre-defined duration, one hour, and re-list them for another hour when the auction expires. Even better, re-listing them when there was no bidder and switching immediately to another right after it’s been sold, if that happened before the 60 minutes. This one’s apparently the ideal situation. If you can do that you’ll become rich in a moment. Although, no one has enough availability to renew the auctions every hour, during an entire day. This is what should be done always it’s possible. When it’s not possible, you should define the auction duration according to the time you’ll be away. For example, if you’re going to sleep, define the duration to 6 hours. Doing that you’ll make the cards stay available for a bigger amount of time on the market and you’ll be able to renew them when you wake up. Basically these are the two golden rules about the auction duration definition: give the cards visibility by defining the auctions with one hour duration and always keep selling. Although, there are exceptions for these rules. Imagine, for example, that you’ll be away for 6 hours. The normal situation would be defining a 6 hours duration for your auction. But if you notice that the last hour of the auction will be during a small traffic period, it may be better if you choose an one hour duration in order to get more visibility. Another example is the occurrence of programmed interruptions on the market access. If your cards are going to expire during the interruption period, you should change the auction duration so that doesn’t happen. Knowing how to define a start price for a card you put on auction is extremely important to get profit. We could try to show you what is the ideal price for each card, according to how much you paid for it, but we would have to use some complex mathematics models. The value that really matters is the final price. Although, the start price has a big influence on what the final price is going to be, so its correct definition is very important. We all know that we have to sell on a price at least 5% superior to the one we paid in order to cover the EA taxes and not lose coins. Although, every player wants, in the first place, to make coins. If you define a start price that is very superior to the one you paid for the card, the most certain thing is that you’ll never sell anything. ✔️ In second place because every time EA interrupts the players’ access to the market, for a programmed maintenance or any other reason, the bids stay the same until the end of the auction, considering the last bid before the interruption started the winning bid. If you have the tough luck of having auctions with low start prices during a service interruption, then you may lose considerable amounts of coins sometimes. In a third scenario, if you define a price that is slightly higher than the price you paid plus the 5%, it’ll take ages for you to make some coins. You’ll definitely sell a lot of cards but the profits will be so insignificant that you’ll never dream of having that top team. The difficult thing is to know what start price will give you profit. There is no exact answer because it depends on several factors, but we’ll try to guide you the best as we can. General rule, we think that you have to give a card a start price according to what the market is interested in. Don’t forget that a trader’s job started before that, when buying a card on its normal market price. Although, the start price you define must be related to your availability: the more time you have to make a deal, the lower price you should define for the start price. The definition of a “Buy It Now” price isn’t mandatory but it can be interesting for many situations. If you define a BIN much higher than the market price it’ll be just like you never defined it. No one will pay that price. You can define it slightly or moderately higher than the market price. Choose the first method. The truth is that, unlike you were supposedly thinking, our tests indicate that if the BIN price is near the start price, your chances of selling a card are bigger. In this moment you may think “it’s obvious that I’ll sell more if the BIN price is lower”. This wasn’t what we said. Read again. What we transmitted to you is that, for example, if you put a card on auction with a 150c start price and a 200c BIN price, you’ll sell more and faster. And that is great, since you’re even selling it for a superior price. Except for some cases, you should define a Buy It Now price always when you put a card on auction. You’d only have something to lose if you had defined a buy now price that is lower than what the buyers were willing to pay. If you had defined an adjusted start price, you just have to increase about 10% to have the BIN we consider ideal. Don’t go below this percentage because you give the buyers the idea that you have defined the start price too high. The best way to get profit from cards that don’t matter to us any more without discarding them (quick selling) is putting them on auction with a 150c start price and a 200c buy now price. It’s the ideal scenario for club items that don’t interest us and neither the market. Although, you should always check if it’s best to have these cards on auction or if you should just discard them in order to spare space on your transfer list for other cards that might give you bigger profits. A lot of times we go buy a card and, immediately before we do so, we see there are equal cards being sold at the same price. It may be enough for us to abort the deal. When this happens, we have to question if we found the best price possible. If someone is selling many equal cards, this person is counting on profit. And you can only make profit if you bought at a price lower than you’re going to sell. And if they can, we can also do it. We know that we advised you to bet on branches. But if you want to have success you should be careful not to make this mistake. When putting your cards on auction, don’t put equal cards all at once. Mix them with other cards or take some seconds intervals. If you have big amounts of three or four different cards, this procedure will become a lot easier. There is also those who utilize a slightly different strategy. They have many equal cards to put on auction and decide to fix a price for 80% of them and another one slightly lower for the other 20%. With this, they manipulate the idea the players have about this card’s market price, and guarantee the sale of at least 20% of the cards. The tests we made with this strategy reveal lower profits than expected. Confusing the buyers is an usual strategy real markets use. In FIFA 19 there are more and more players trying to make the buyers confused. Normally this is done by selling low price cards with similar characteristics to the cards whose buyers are effectively interested in. Have you tried buying Thiago Silva without using the filter by name? You’ll have to search the auctions adding club, position and nationality filters. It’s absolutely crazy the amount of the rare gold PSG Brazilian centre-back cards you’ll find at exorbitant prices. Why? Because Thiago costs too much and Marquinhos doesn’t. The sellers will try to confuse the buyers by setting a start price for Marquinhos that is slightly lower than Thiago’s price. Since the cards are very similar and the players know that they have to be quick when finding good opportunities, there’s a huge risk for them to make a big mistake. Many people try to take advantage of players with more than one In Form version. If you compare two IF cards with the same colour and player, you’ll see that the differences are very small. It’s quite easy to bid the wrong card. If you are not an experienced trader, there are trading methods that may save you lots of work. They are ready to use. You just need to follow the instructions. The income is lower but they are perfect for who doesn’t go deeper in this subject. We joined all these methods in a single article, that you can access clicking on the following image.